Which scene do you like better? Which song do you think matches 'Jisbon' best? The fans pick: None of them. Do you think Jane would give up his revenge for Lisbon? The fans pick: Maybe... after some time passed. Has anyone herd anymore about whats going to happen with Jane and Lisbon this season? why shot he at lisbon in the last episode in season 4?! and what happens between them?! LISBON: ALRIGHT YOU ALL NEED TO GO HOME NEED TO GO HOME, GET SOME REST! HELLO LISBON VERY NICE TO SEE YOU AGAIN. LISBON: WHO ARE YOU AND HOW THE HELL DO YOU KNOW MY NAME? LISBON:HI VANEPELT LOVELY DAY TODAY! VANEPELT:HI BOSS ARE YOU OK? LISBON:YES AND NO I'LL MY DAY WOULD HAVE.BEEN GREAT OF RED JOJN DIDNT LEAVE ME A DEATH THREAT AT MY DOOR LAST NIGHT. VANEPELT:WHY DIDNT YOU CALL OR SAY ANYTHING LAST NIGHT? LISBON:ITS OK I WENT TO JANE'S LAST NIGHT HE LET ME STAY OVER HE SAW THAT I WAS A LITTLE SHAKENED. VANEPELT:ARE YOU SAYING YOU STAYED AT JANE'S HOUSE OVER NIGHT? 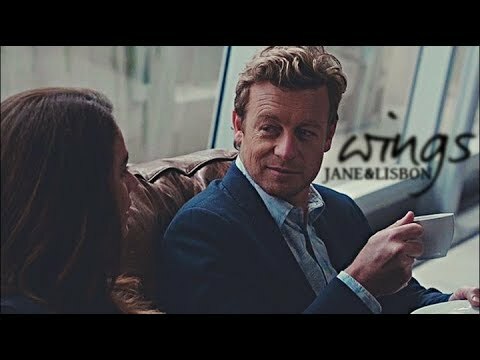 LISBON: JANE IF YOU CAN READ MINDS WHAT AM I THINKING RIGHT NOW? YOUR SCARED ABOUT READ JOHN BUT THATS NOT WHAT YOU REALLY CARE ABOUT RIGHT NOW,IS IT? LISBON: YEAH SO WHAT DO I CARE ABOUT DOING RIGHT NOW? IM SHORE YOU DONT WANT ME TO SAY IT OUT LOUD. OR DO YOU? LISBON: YEAH NO ONES AROUND SO WHATS INSIDE MY HIDE IS SAFE WITH ME AND.BY THE WAY ARE YOU READY TO EAT? COME IN LISBON IM GLADE YOU CAME TO ME FOR HELP. LISBON:THANK YOU JANE, BUT I DONT WANT TO INTRUDE SO I'LL JUST GO. NO, DONT LEAVE LISBON!COME ON JUST WHEN I WAS GETTING USE TO THE IDEA OF A SLUMBER PARTY. 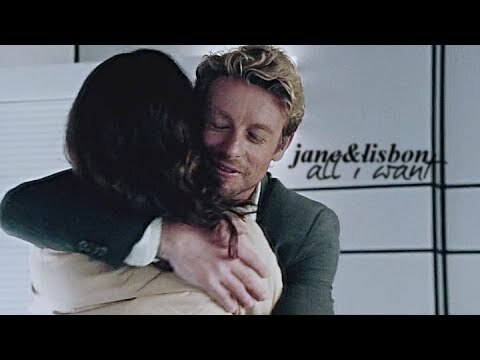 LISBON:PLEASE JANE ALL JOKES ASIDE.CAN I STAY HERE TONIGHT. YES OF COURSE.ME CASA IS TU CASA!OK I HAVE AN EXTRA BED ROOM UPSTAIRS AND ITS RIGHT NEXT TO MINE SO IF YOUR SCARED JUST CALL,AND REMEMBER WE ARE GOING TO GET HIM,IT WILL ALL BE O-K.
AS I WAS SOUND ASLEEP THERE WAS A KNOCK ON THE DOOR. LISBON:"JANE ARE YOU THERE?ITS IMPORTANT CAN YOU COME DOWN? LISBON WHAT IS SO IMPORTANT THAT YOU COULDN'T WAIT 2 MORE HOURS? LISBON:ITS ABOUT RED JOHN,LOOK HE LEFT THIS ON MY... MY DOOR I SAW IT WHEN I GOT HOME. Dear,Lisbon i am so happy to tell you that i am a big fan and obviously Mr.Jane is to.I would like to see you some time soon,I'll pick the place,I'll pick the time.SEE YOU SOON. “What a day” said Rigsby! The others agreed. “I’m so glad Lisbon’s okay” said Vanpelt. The team was cleaning up their desks. Lisbon was safe and being taken care of by doctors. She had taken quite the beating, but the doctors said she was a fighter and should be okay. The attacker had been shot and killed when the police encircled the building… and Red John, well, he was gone, no where insight. They must have scared him off when the police arrived at the building. It was a good thing they got there when they did. Who knows what he would have done to Lisbon. Lisbon awoke in darkness… her hands and legs were tied with ropes. Her body ached… all she could remember was her attackers beating her up and then everything going black. She must have passed out she thought. It was cold and damp in the room. All she could think about was Jane… was he okay? Was he alive? Did they hurt him??? Lisbon didn’t move, her hand was still on the gun. “PUT IT DOWN NOW” yelled the scary voice. The sun was setting… Vanpelt, Cho, and Rigsby said their goodnights and headed home. Lisbon was in her office filing last minute paper work. Jane popped his head in. “You still here?? ?” he asked. “No Thanks. I’m fine! Really, go home! It’s been a long day!” she ordered with a smirk. As seen in the clip above, the feds’ risky plan has given Patrick a bout of insomnia. Can Teresa talk him down, and back into (that tiny) bed? 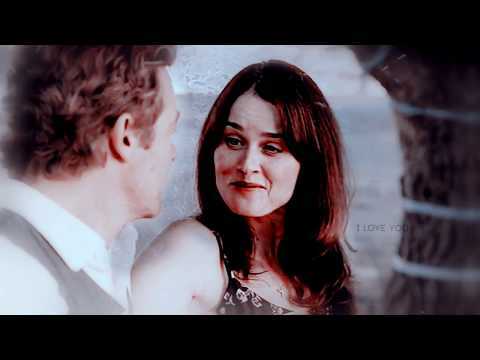 How is the shipper term for the possibility of a romantic relationship between Patrick Jane and Teresa Lisbon called? When Should Jane + Lisbon Get Together?